For anyone who is passionate about nail art and looks forward to a long profiting career in the nail industry or anyone who is already in the nail art business and wishes to gain detailed knowledge and cement their career with a certificate from a recognised university, the Nail Technician Diploma is a great learning opportunity.Taking care of nails as a profession requires that the person should have an understanding about even the tiniest details of the nail unit, learn to identify specific nail conditions and at the same time repair the wear and tear from daily use and make certain that the nails are beautified to specific professional standards. 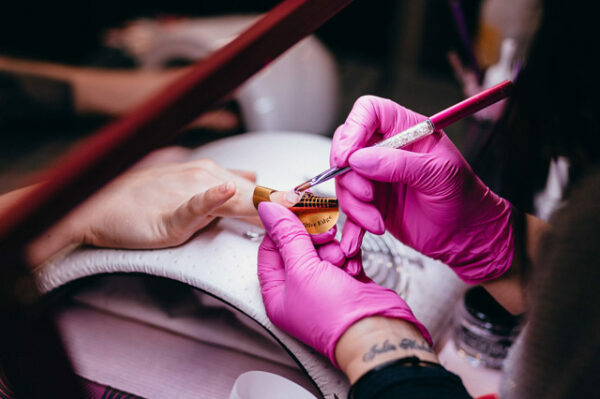 Everything that one needs to learn to become a professional nail technician can be learnt with the help of our online Nail Technician Diploma course. Aside from all the nail products used to beautify nails, even water has chemical properties that act on nails and as a professional technician, it is your responsibility to identify potential threats and minimise exposure to chemicals as these can cause allergic reactions.If you are passionate about nail art and choose to be a nail technician, then a whole world of possibilities and an exciting career opens its doors to you. You may decide how many hours to work as you build your business which could be as a mobile technician or by renting a room in an already established salon or the ultimate achievement which is to have an established business in the form of a nail bar. Being a nail technician is a profession that offers a lot of job satisfaction.